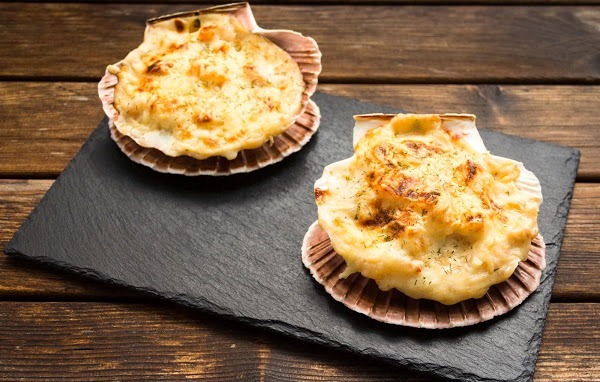 There are many ways of cooking scallops, but the simplest option is to bake them in the oven. In this case, the crust is crunchy, and the filling will literally melt in your mouth. 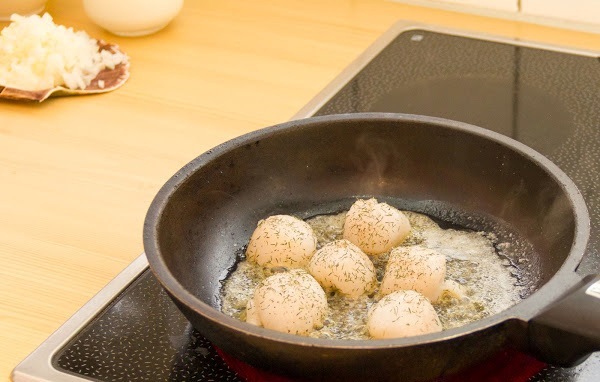 In a pan melt the butter, fry in it the scallops with dill, salt and pepper on all sides, so they are a bit browned. 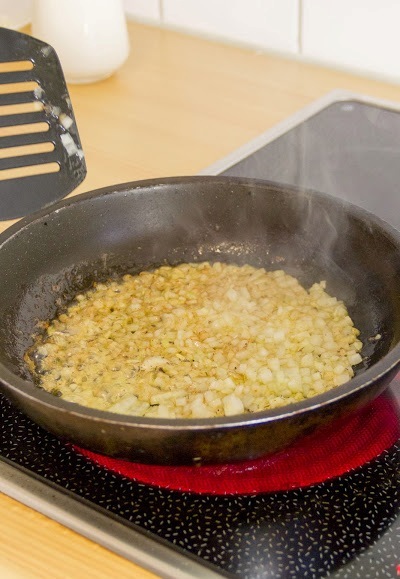 Put scallops on a plate, in oil fry finely chopped onion. Once onions are browned, add the chopped shrimp. 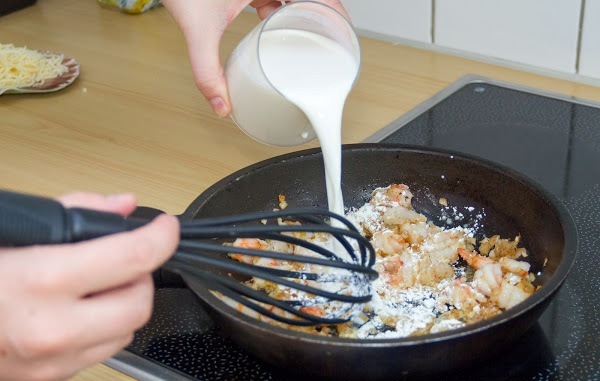 Give them a good obzharitsya, add flour and pour milk. Stirring constantly, fry on a small fire shrimp in the sauce for 5-6 minutes. 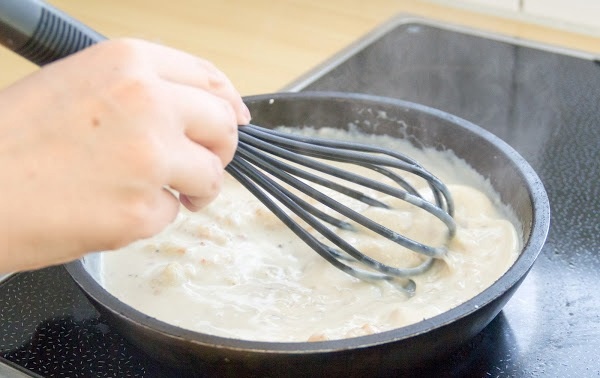 The consistency of the sauce should resemble the Bechamel. Preheat the oven to 180C. 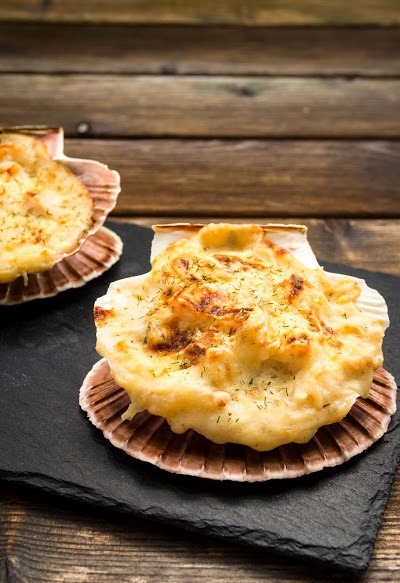 At this time, lay out three scallop-shell. 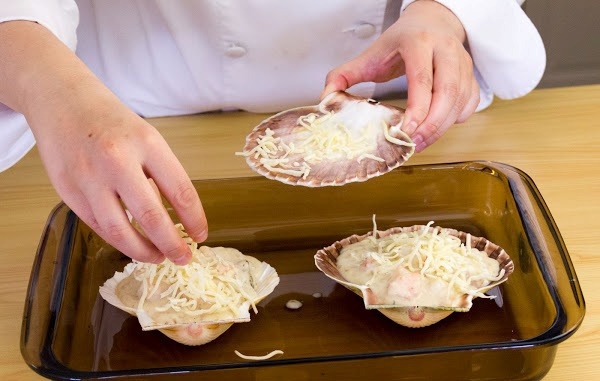 Pour sauce with shrimp, and sprinkle top with grated cheese during baking formed crisp. Sent shell in the oven for 8-10 minutes, after which they can bring to the table.